The Yancy Streeg Gang is a group of youths and adults who antagonize the Thing, mostly throwing rocks at him or shouting insults. They are mainly seen off-panel, with only their arms visible. 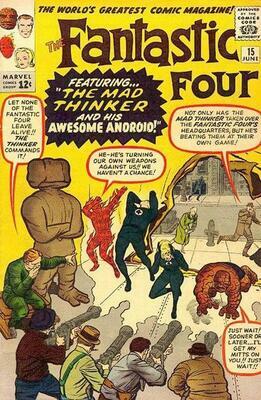 Later, the Thing makes peace with the gang, and they are shown as pro-superhero supporters during the Civil War storyline. 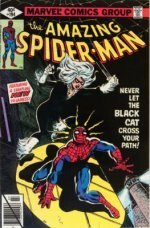 See our Fantastic Four comic book price guide for more values from this series. 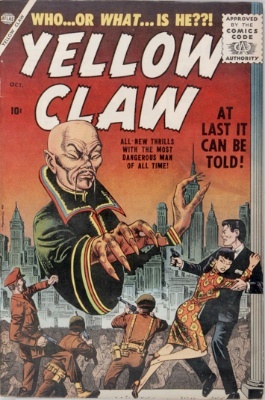 Yellow Claw was originally the enemy of Chinese-American FBI agent, Jimmy Woo. 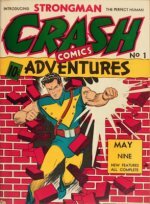 This short-lived comic series was authored and illustrated by comic book legends Joe Maneely, Jack Kirby, and John Severin. Yellow Claw seeks to spread Communism throughout the world, making himself the world's dictator. Little is known about Yellow Claw, but he is a brilliant scientist and master martial artist. Yellow Claw has formulated elixirs that have prolonged his life span. 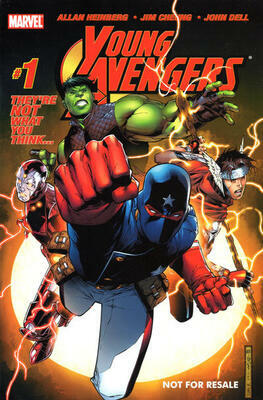 The Young Avengers storyline takes place between the Avengers Disassembled storyline, and the beginning of New Avengers. The team defeats Kang the Conqueror, but Captain America and Iron Man are reluctant to take the young heroes under their care without their parents' consent. Despite this, the Young Avengers continue training, developing their own superhero identities. The Young Avengers is made up of Hawkeye, Marvel Boy, Hulkling, Miss America, Iron Lad, Patriot, and several other young heroes. Yuga Khan was the former ruler of Apokolips, until he attempted to learn the secrets of the mystery of the Source, which left him imprisoned in a comatose state for thousands of years. 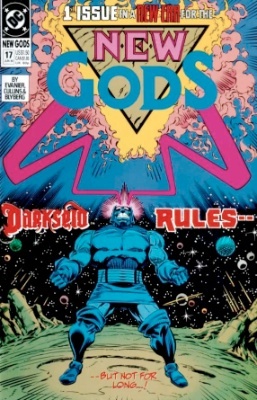 After awakening, Khan finds that Darkseid has taken over as ruler as Apokolips. Furious, Khan defeats Darkseid, but the mystery of the Source proves too tempting, and Khan is once again imprisoned.